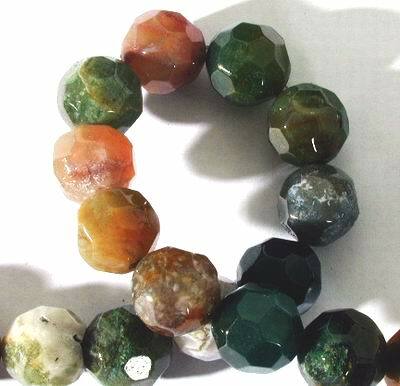 Price is one 16-inch strand of these beautiful faceted 12mm beads. No gemstone is more creatively striped by nature than agate ?technically, chalcedony quartz that forms in concentric layers in a wide variety of colors and textures. Each individual agate forms by filling a cavity in its host rock, resulting in round nodules, with bands like the rings of a tree trunk, looking like eyes.